Hillary Chybinski: gettin creative. . .
. . .made this tonight. 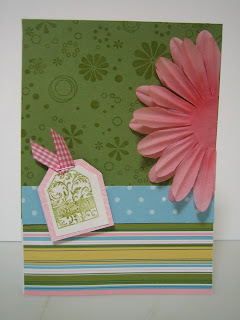 . .
thanks to carla and her "special", I had all new goodies to stamp with and get creative. it's been a while since i've been creative, something (the baby perhaps??) has sucked all the creative juice from me - no mojo left. but maybe - just maybe. . .it's creeping back. . .